Istanbul Modern is continuing its activities with its exhibition halls, photo gallery, educational and social programs, library, cafe, shop and cinema. The temporary space's most recent branch in cinema provides a space for films from both Turkish cinema and world cinema history. It also provides screenings for contemporary local and international productions. With these aims, Istanbul Modern Cinema has been organizing the program Rendezvous with Directors. This program offers outstanding works by talented directors of different disciplines in Turkish contemporary cinema culture to movie buffs. Continuing its collaboration with the Cinema Writers Association (SİYAD), it will be held for the sixth time from Feb. 14 to Feb. 28 this year and will host renowned director Yeşim Ustaoğlu. Ustaoğlu has directed numerous award-winning short films. With a new perspective on male-dominated Turkey, she made her first feature film debut with "İz" ("The Trace"). This film earned her the Best Turkish Film award at the 14th International Istanbul Film Festival. In the film, spectators meet a character named Kemal, who is a plainclothes policeman. Kemal investigated the suicide of a man who shot himself in the face. He becomes obsessed with the real appearance of this man. The film will be screened within the context of the Rendezvous with Directors series. With "Güneşe Yolculuk," Yeﬂim Ustaoğlu started to be known internationally. Ustaoğlu's 1999 production "Güneşe Yolculuk" ("Journey to the Sun") was an important step in her career as she started to be known internationally with it. It won Best European Movie and the Peace Award from the Berlin Film Festival. The film was shot 20 years ago, and Istanbul Modern Cinema will show a restored digital version of it to celebrate the anniversary. The film reflects a touching story of a friendship not afraid of political cruelty. Mehmet and Berzan, two young men from different regions of Turkey, cross paths in Istanbul. Naive Mehmet's friendship with Berzan becomes stronger after he is unjustly arrested. After, when Mehmet tries to take Berzan's body back to his village, he comes across various obstacles in this journey when he travels across the country and experiences many things that force him to mature. The third feature narrative film of the director "Bulutları Beklerken" ("Waiting for the Clouds") was shot in 2004. It is the story of a woman burdened with secrets for 50 years on the misty flatlands of the Black Sea. Ayşe, who's real name is Eleni, is a daughter of a Greek family who had to emigrate from the Black Sea region. Eleni reaches Mersin after losing most of her family on the path of exile and is adopted by a small Turkish family with her younger brother Niko. The trauma of the relentless experience of little Eleni is relieved by the loving bond she establishes with the teenager Selma. Eleni tolerates Niko's leaving; however, when she loses her beloved Selma, Eleni's hidden feelings of guilt and internal turmoil awaken with the voices brought by the fog and the clouds from the mountains, and the images of those she has lost. The gifted director's other film is "Pandora'nın Kutusu" ("Pandora's Box"), which was in theaters in 2008. The film won Best Oyster (Best Movie) and Silver Oyster (Best Actress) for Tsilla Chelton's performance at San Sebastian Film Festival. In the production, three siblings, who live in different neighborhoods of Istanbul, are trapped in different problems and life standards. They are estranged and later reunite after receiving a phone call from the Western Black Sea village they grew up in. Their elderly mother Nusret is lost. This mandatory journey of three siblings to find their mother reveals many veiled problems in their lives and relationships, like a Pandora's Box. 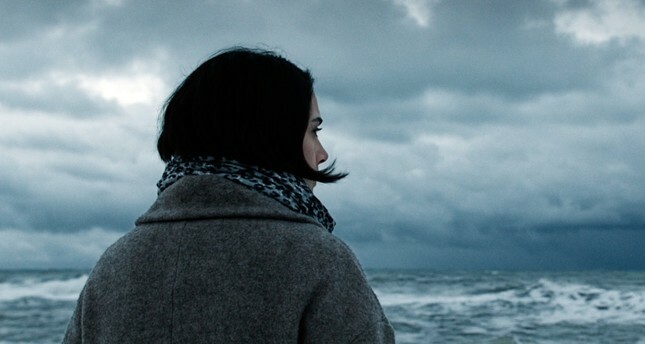 "Araf" ("Somewhere in Between"), shot in 2012 by Ustaoğlu, won Best Movie at Abu Dhabi, Split Mediterranean Film festival and Best Female Actress at Moscow, Tokyo and Pune festivals. In the movie, film buffs see two young people named Zehra and Olgun. Working 24-hour shifts at a huge gas station on a highway, they are lost in this cycle and keep on working as if expecting their lives will suddenly change. When they are not working, they watch programs about traveling to far-away places, becoming rich, magical love or a bright future on the TV. They live somewhere between this vicious cycle and the lives they dream of. However, this monotony is turned upside down when Zehra falls in love with Mahur, who arrives in his truck on a cold winter morning. The director's last film that will be shown as part of the Rendezvous with Directors program is "Tereddüt" ("Clair Obscur"). In the film, Şehnaz is a psychiatrist who refuses to face the realities in her life, while the other character, Elmas, is a young woman forced to marry at an early age. While they lead very different lives, they deal with similar problems. The lives of these two women intersect because of Elmas' trauma and a long, difficult reckoning will begin. For Yeşim Ustaoğlu, "Tereddüt" questions being a woman, the relationship between men and women, the responsibilities and omissions of the family, and "discusses what someone who is suffering from trauma might face in both the psychological and the legal process." Along with the director's features, her four short films will be shown during the program, as well. Short movie lovers can also enjoy the program, which will screen "Otel" ("Hotel"), "Düet" ("Duet"), "Magnafantagna" and "Bir Anı Yakalamak" ("To Catch a Moment"). "Otel" investigates a hotel that no one can leave. It is an architecturally eye-catching and mysterious hotel with strange characters inside. There is murder, and he is held at the hotel even though he couldn't find the courage to admit to the murder. With film noir elements, "Hotel" recalls Kafka's stories with society and hysteria attacks and won the 14th Mediterranean Montpellier Festival Grand Prize the same year. "Duet" is a one-night story set in the house of a musician who has retired and a young man who "escaped" from Germany to Istanbul. The shadow of Istanbul is behind them, while the two characters get to know each other through music, having a house and being homeless, in between fantasy and reality. "Duet" won the Yunus Nadi Short Film Competition in 1991. Inspired by Wendy Lichtman's story, Ustaoğlu's second short movie "Magnafantagna" tells the story of the discovery of young girl's death. The movie, which blurs the boundaries of reality in terms of facing death, also shows traces of the director's scheme in cinema while portraying the story with poetic visuality. The debut of Yeşim Ustaoğlu and a İFSAK Short Film Award winner, "To Catch a Moment" is about the bus journey of a young woman, who is portrayed by the director herself. Her mind travels to a few time zones that actually do not exist, and she imagines what might have happened. Throughout this spiritual journey, she reflects on her relationship with her mother and her father portrayed by Ara Güler, their family dynamics and her home. As part of the program, there will be also a discussion about cinema and the directing of Yeşim Ustaoğlu. The event will be moderated by Müge Turan, a movie critic, on Feb. 28 at 7:15 p.m.
You can visit the website of Istanbul Modern Cinema for detailed information.